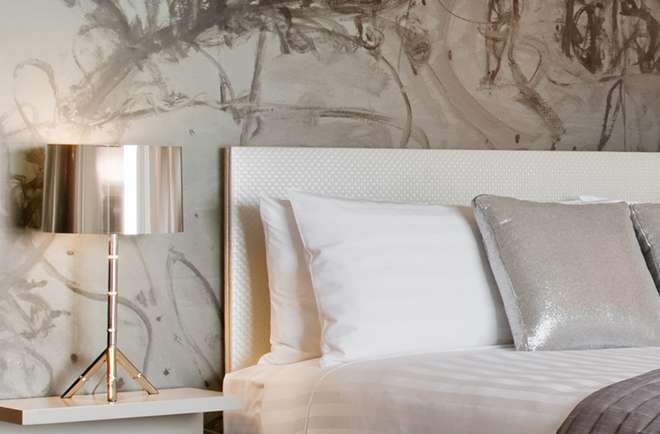 For those seeking a South Yarra boutique hotel with a little more leg room, our open plan Deluxe Studio Suite Twin has space to stretch out with the choice of two Art Series Signature queen beds and more floor space. Our suite is home to a combined living and working space with ample natural light and fresh air. 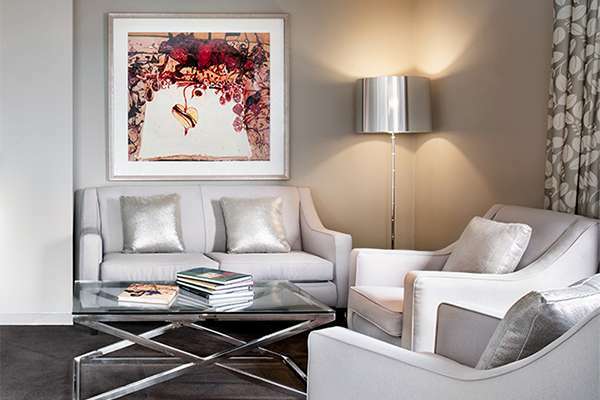 Large lyrical prints and stylish designer furnishings will ensure you feel right at home. Full kitchenette facilities including modern appliances and dishwasher allow you to prepare your own fare, or snack on the mini-bar treats sourced from local producers. 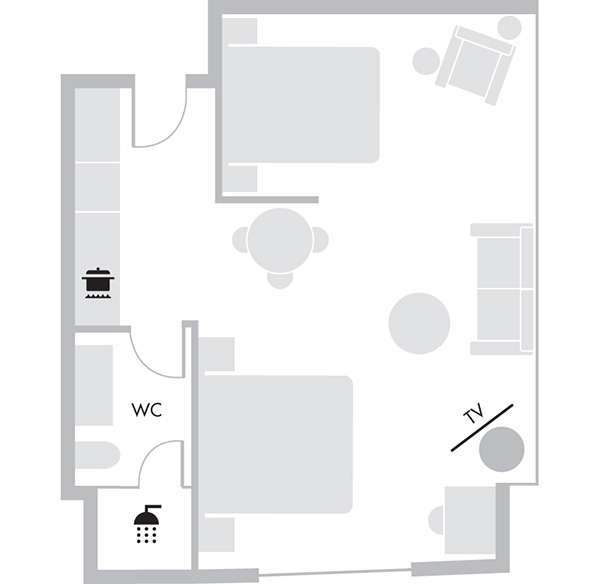 Your Deluxe Studio Suite Twin comes complete with 42”HD flat screen TV with Foxtel and art channel, high-speed internet and iPod docking station. 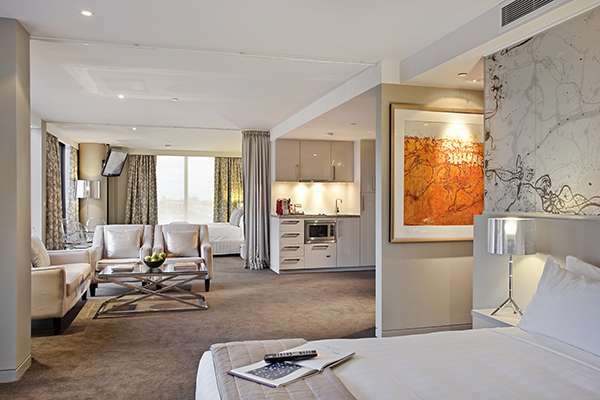 Escape to our South Yarra boutique hotel today and enjoy all the creature comforts of The Olsen's Deluxe Studio Suite Twin.